All jewelry making merchandise, including gem grade gemstones, are 50% off, now through March 30. Cheap gemstones are close to clear in color with bare greenish tints. 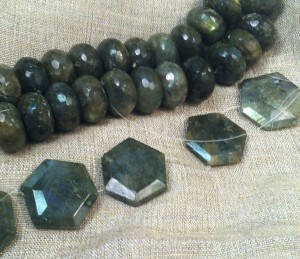 These beads are all deep green, many with the labradorite flash.